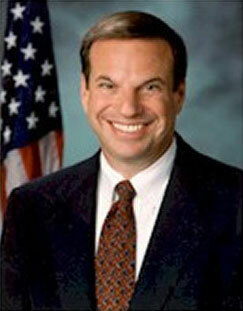 Bob Filner is a Democratic Congressman for California's 51st District. Without doubt he is one of the most far left members of the U.S. House of Representatives. This is not surprizing, as Bob Filner's father, Joseph Filner, was once a leading member of the Communist Party USA. In the 1940s Joseph Filner, when not changing baby Bob's red diapers, was running a bakery business and serving as secretary of the Pittsburgh Communist Party. After WW2, Joseph Filner entered the scrap metal business. He founded the Stainless and Alloy Corporation of America, eventually expanding its scope of operations worldwide and becoming a major agent for Soviet products and technology in the West. One of Joseph Filner's early business colleagues was Stanley Levison, a secret Communist and treasurer and money launderer for the Party. Joseph Filner never forgot his socialist roots. In his later years, he used his wealth to create a charitable foundation, the Frieda Foundation, through which he gave to many leftist causes, especially programs to "rid the world of the threat of nuclear annihilation." In the 1980s Joseph Filner was a member of the far left American Committee on East-West Accord, a Washington, D.C.based tax-exempt "independent educational organization", with the stated aim of "improving East/West relations, with special focus on U.S.-Soviet relations." Joseph Filner also endorsed the Kennedy-Hatfield Nuclear Freeze Resolution which was introduced in the Senate on March 10, 1982. After beginning adult life as an early '60s student radical, and as a college professor Bob Filner decided to run for Congress. One of the people who campaigned for him was Andrew Young, then the far left mayor of Atlanta, Ga. Young remembered, Joseph Filner well. At one point, he told a campaign rally that he supported Bob Filner's candidacy not only because of their shared Democratic viewpoints, but also, quite simply, "because of his daddy. Bob Filner entered congress in 1990 and a year later was a founding member of the Congressional Progressive Caucus, a grouping of far left Congressmen organized by openly socialist independent Congressman Bernie Sanders and Democratic Socialists of America. Bob Filner went on to form a very close relationship with D.S.A. - the U.S's largest Marxist-based organization, which endures to this day. In August 1996, over 300 people attended the San Diego Hearing on Economic Insecurity, "a forum intended to hammer home to a message to our elected officials that working America is hurting and to demand that government take corrective action." For two hours, a panel that included Congressman Bob Filner (D), California Assemblywoman Denise Ducheny, and five candidates who may soon hold seats in Congress and the California Assembly listened while a steady stream of local people told their stories. Testimony came from workers, seniors, welfare mothers, men and women seeking work and students soon to join … "
The Hearing, involved groups such as the Gray Panthers, the ultra-radical National Lawyers Guild, Welfare Warriors and labor unions, but was initiated as a project of San Diego Democratic Socialists of America. However the main work in organizing and publicizing the hearing was carried out by DSA members...San Diego DSA realized that an effort of this magnitude needed a full time paid organizer. We were fortunate to be able to hire Stephanie Jennings, a veteran supporter and organizer of progressive action.... Stephanie kept in close touch with Boston DSA, with Alan Charney and Michele Rossi and DSA national office, with Chris Riddiough in our Washington DC office and with Tim Parks, Eric Vega and Duane Campbell in other California chapters. Congressman Bob Filner donated the use of his campaign office for a week of nightly phone banking by DSA volunteers.. 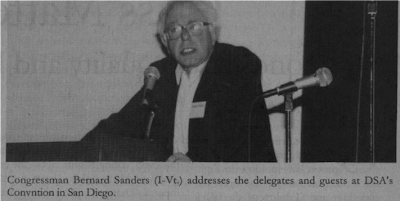 In November 1999, Bob Filner attended D.S.A's national convention, conveniently held in his home town of San Diego, where he had the honor of introducing his old comrade Bernie Sanders to the assembled socialists. In 2004 San Diego Democratic Socialists of America supported Filner's successful Congressional race. 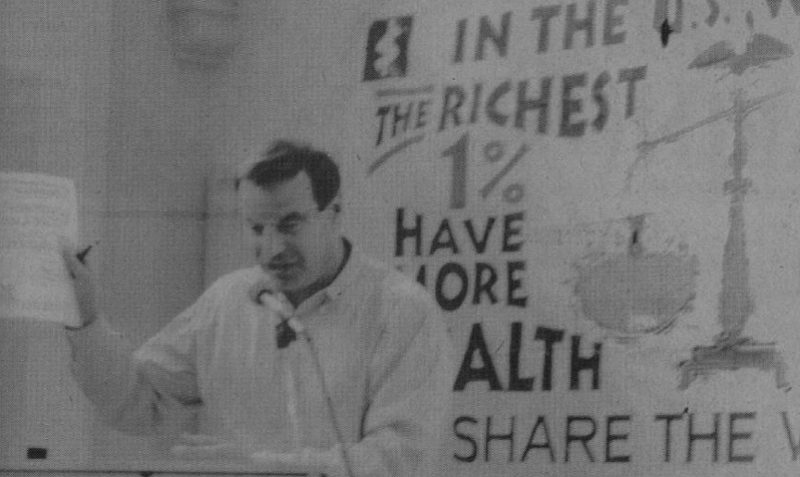 DSA supported Filner again in 2006. San Diego DSA produced an email recommendation sheet for the membership covering all races and propositions on the November ballot, a popular tradition of the local that people ask for as elections approach. Activist members there went precinct walking for Representative Bob Filner. In 2008 Bob Filner attended a San Diego DSA function organized for City Council candidate Stephen Whitburn. 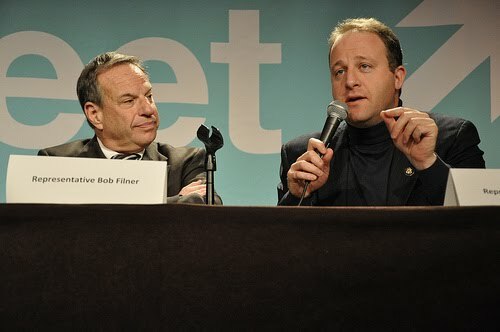 On Oct. 26, 2009, Bob Filner spoke alongside fellow Congressional Progressive Caucus members, Jared Polis and the D.S.A. affiliated Jan Schakowsky at the JStreet 2009 Conference. JStreet is a leftist Jewish organization that, according to its website, "was founded to change the dynamics of American politics and policy on Israel and the Middle East". JStreet has several Democratic Socialists of America members within its leadership and is regarded by its opponents as one of the most dangerous anti Israel groups in the country. They charge that JStreet's real purpose is not to help Israel, but to help steer U.S. foreign policy away from supporting Israel to the benefit of that country's Palestinian and Arab enemies. In February 2010, the first JStreet-sponsored congressional mission toured Israel, Jordan and Palestinian-controlled areas. Five members of Congress participated in the tour; Lois Capps, Bill Delahunt, Bob Filner, Mary Jo Kilroy and Donald Payne. It was stated that the mission "will meet with Israeli government and opposition leaders as well as key regional leaders, including Jordanian King Abdullah II and Palestinian National Authority Prime Minister Salam Fayyad. The delegation will travel widely in Israel, the Palestinian Territories, and Jordan taking a close look at the situation on the ground through the eyes of policy makers and civil society leaders." All members of this delegation came from the far left side of Congress and one, Ohio Democrat freshman Mary Jo Kilroy, has been a confirmed member of Democratic Socialists of America. This was not Bob Filner's first effort at international bridge building. In February 2002 a delegation of leftist California Democratic Party Congressmen and women including Sam Farr, Diane Watson, Bob Filner and Mike Thompson, together with singer Carole King, visited Havana as part of the "latest effort to change U.S. policy toward Cuba." Carole King serenaded Fidel Castro with "You've Got a Friend" at a weekend dinner, replete with wines from Napa and Sonoma. The delegates said their dinner with Castro at the Palace of the Revolution stretched from 9 p.m. Sunday until about 4:30 a.m. Monday. During the meal, King also performed a new song, "Love Makes the World." Daddy Joseph Filner, wherever he is now, is surely proud that baby Bob has yet to change those red diapers. We in the US appreciate this soooo much. I asked my hubby the other night where was "our McCarthy" and don't take this wrong, but thank you for routing out and exposing the liars for what they are! I don't mind a communist or marxists or maoist running for an office, but do it honestly and out in the open, because if we can't have an open and honest discussion based on a candidates truthful political worldview and ideology, then they are a liar, and the communists who do not identify themselves as such are liars. Look at that face in the first picture. Could anyone trust that guy? He lookms like a spawn of the devil with that evil grin on his ugly puss. Thanks for writing this piece. I checked out the Popaditch website and www.votethebumout.com. We have to let people know what kind of people we have in office and running for office. I am in Filner's district and I can tell you how he keeps getting elected even though I have yet to find anyone who likes the man or the job he is doing...FRAUD. Voters come over the border and vote in San Ysidro and then go back home in Mexico. Precinct list show multiple names listed on the same address..and no one has to show any identification. The democrats do voter registration down here, tell people to check Democratic Party or check it for them. There is a large amount of democratic absentee voters in this district. This area is run by La Raza and unions. They own our politicians from the bottom up, lock, stock and barrel. Ben Quayle on the "Worst President Ever"
Mary Jo Kilroy - Covert Socialist?